No games in the opening week of the 2018 college football season have quite the pizazz of last year’s meeting between No. 1 Alabama and No. 3 Florida State. But there still are enough interesting matchups to whet the appetite of fans starving for more football ever since the end of Alabama’s thrilling College Football Playoff championship game overtime triumph over Georgia . 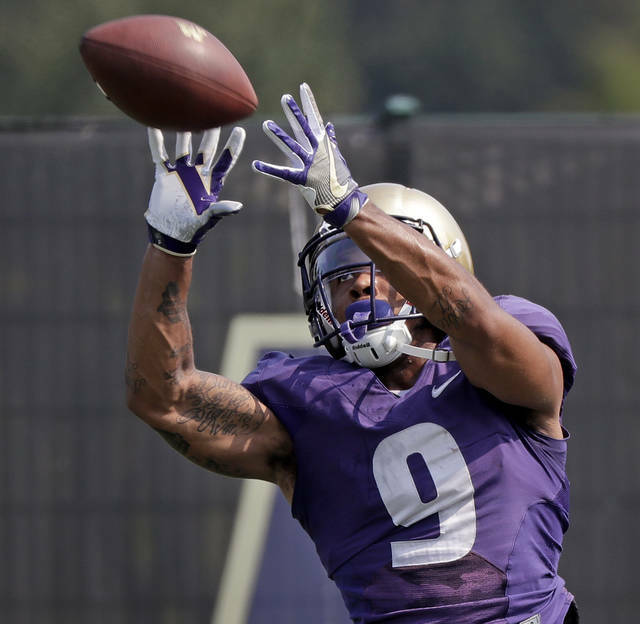 Auburn faces Washington in a neutral-site contest between top-10 teams. Michigan and Notre Dame renew their rivalry for the first time since 2014. An active offseason coaching carousel has new eras beginning at big-name programs across the map from Florida to Oregon. This is the only opening-week game pitting a pair of top-10 teams. 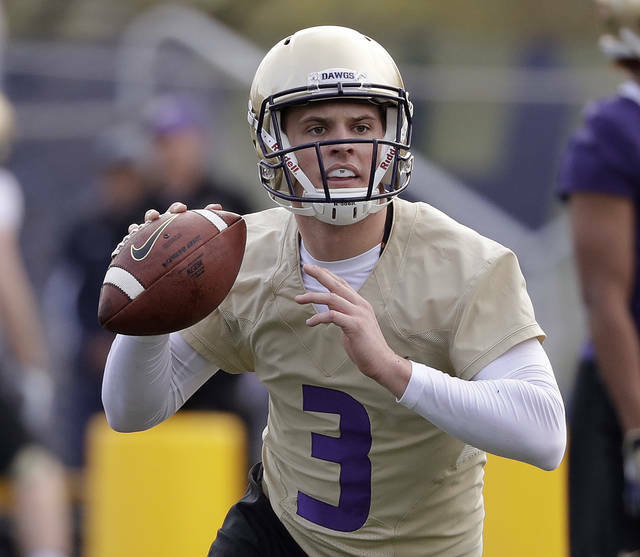 It also features a few potential Heisman Trophy contenders in Auburn quarterback Jarrett Stidham, Washington quarterback Jake Browning and Huskies running back Myles Gaskin. 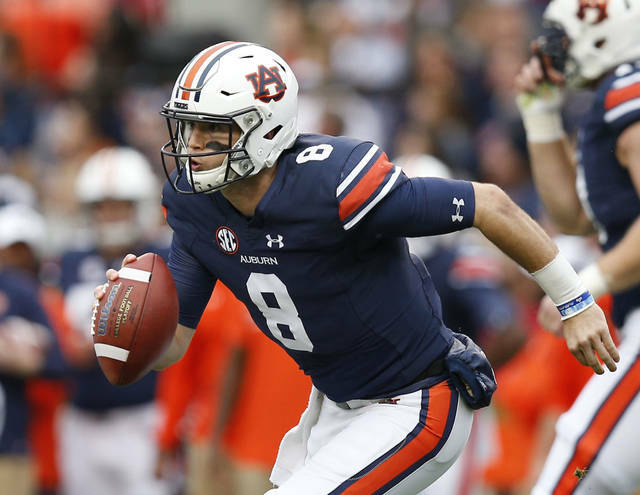 Auburn owns a 5-0 record in neutral-site games against Pac-12 opponents and will try to keep that streak going in its first meeting with Washington. The Huskies are just 2-11 against current members of the SEC — including a 1-2 mark against Texas A&M before the Aggies joined the conference. Stidham faces a Washington defense that has allowed the fewest points and yards per game of any Pac-12 team each of the last three years. Auburn’s defense will try to contain Gaskin, who has the most career yards rushing (4,055) and touchdown runs (45) of any active Football Bowl Subdivision player. West Virginia already has launched a Heisman campaign for Grier, the Associated Press preseason All-America first-team quarterback. Grier threw for 3,490 yards and 34 touchdowns last year. He also should benefit from the return of David Sills, who caught 18 touchdown passes last year to tie for the FBS lead. Grier has an intriguing matchup Saturday with new Tennessee coach Jeremy Pruitt , who coordinated the Alabama defense that allowed the fewest yards and points per game of any FBS team last year. If Grier plays poorly and his team loses to a Tennessee squad that went 4-8 last year, his Heisman candidacy could come to a quick end. 3: That’s how many defensive linemen from No. 2 Clemson made the Associated Press preseason All-America team. Clelin Ferrell and Christian Wilkins were first-team selections, while Dexter Lawrence made the second team. The preseason all-Atlantic Coast Conference defensive line consists entirely of Clemson players: Ferrell, Wilkins, Lawrence and Austin Bryant. 5: The number of new coaches in the SEC this year (not including Mississippi’s Matt Luke, who was an interim coach last year but got hired on a permanent basis after the season). That’s the SEC’s highest total since 1946, when the league had six new coaches. 73: No. 1 Alabama has defeated unranked opponents an FBS-record 73 straight times. Alabama opens the season Saturday by facing unranked Louisville in Orlando, Florida. 39-11: That was the Big Ten’s record against nonconference opponents last season. The Big Ten’s .780 winning percentage in nonconference games was the best of any league. .729: Michigan’s all-time winning percentage, which leads all FBS schools. The 14th-ranked Wolverines open the season at No. 12 Notre Dame, which ranks fourth in winning percentage despite recently being forced to vacate 21 victories from the 2012 and 2013 seasons . Boise State is second and Ohio State is third. 198: Points scored last season by Florida Atlantic running back Kevin Singletary, a figure that led all FBS players. Singletary and the Owls carry a 10-game winning strea k into their season opener Saturday at No. 7 Oklahoma. Arizona quarterback Khalil Tate is one of the game’s most exciting players and now gets a chance to show how he’s refined his game under new Wildcats coach Kevin Sumlin . Arizona opens against a BYU team eager to show that it’s moved past its 2017 struggles. BYU went 4-9 last season and failed to beat a single Power Five opponent. This game is a rematch of a 2016 season opener that BYU won 18-16 on a field goal with four seconds left. Kingsbury is entering his sixth season as Texas Tech’s coach and owns a 30-33 mark that includes a 6-7 record last season. The Red Raiders have finished below .500 three of the last four years. They can’t afford to open with a loss to a Mississippi team that lost quarterback Shea Patterson to Michigan after going 6-6 last year. Saturday’s matchup in Houston could come down to how Ole Miss receiver and AP preseason All-America selection A.J. Brown fares against a Texas Tech secondary that includes preseason all-Big 12 picks Jah’Shawn Johnson and Justus Parker, though Johnson’s shoulder injury makes his status uncertain for this game.